Credit card fraud is a very dangerous thing that can happen to anybody. You can never be too careful with these kinds of things. The people that commit credit card fraud rack up a lot of money from innocent, unbeknownst people and it can ruin their credit scores. In order to prevent this from happening it is important to regularly check your financial statements and keep an eye out for any unfamiliar activity. 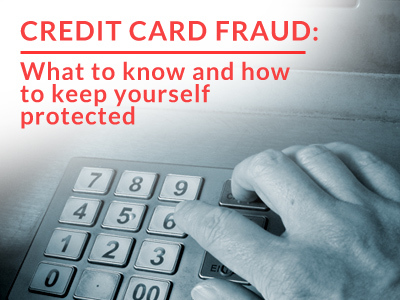 It is also good to put fraud alerts on your files and accounts as to alert you of sudden changes then you will get a call asking if you were the person that made the charges on your credit card. These things can lead to serious problems and it is always a good idea to keep a close eye on things so nothing gets out of hand. If you feel you’ve been the victim of credit card fraud you should try and identify where it occurred. You should also remove the stolen charges, close the account and change any and all passwords and account numbers associated with you. Hopefully you’ll never have to. OMA Comp can make sure your computer isn’t susceptible to any intruders or cyber attackers trying to get into your system. If you feel someone is trying to take advantage of you and take your personal information, give OMA Comp a call and we’ll guide you in the right direction. Eye health is crucial to your general well-being, after all you’ve only one pair of eyes. Given how much time is spent on the electronic screen, it becomes imperative to take steps to regulate time computer time. Eye doctors strongly suggest looking up every 20 minutes for 20 seconds (20/20 is easy to remember) to give your eye muscles time to relax. That’s a major part of taming the problem but there are other things to take into consideration as well. How’s the lighting in the room? Too bright? Adjust lighting so the screen does not emit glare. Use a glare filter is necessary. Even rearranging the table helps. Ideally, the screen should be slightly below eye level, positioned between 18 to 20 inches away from your eyes. Then, work the settings on the computer—adjust brightness, contrast, font size to find the best settings for your eyes. Being aware of this problem is half the battle won. You can now take steps to improve your work environment or regulate computer time to reduce eyestrain. 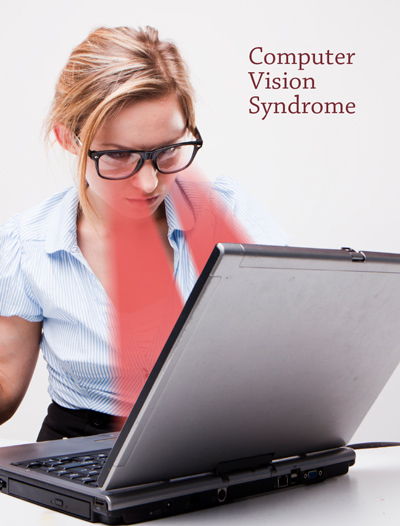 Visit your eye doctor to discuss computer vision syndrome. Sometimes, you may need glasses or contact lenses to correct computer eye syndrome. Other cases may call for special computer glasses. If you think you can use some corrective lenses to counter-act the effects of C.V.S., give trusted Metro Detroit Eye Surgeons Eye Michigan a call today. With a combined experience of over 30 years, Doctors Grosinger, Spigelman & Grey will have you seeing clear in no time at all. Whether it’s a pair of glasses or LASIK corrective laser eye surgery you need, Eye Michigan is THE place to help you with your Computer Vision Syndrome and all other visual ailments. This a quote given by general manager of the Detroit Tigers, Dave Dombrowski. It was disclosed that Bruce Rondon will be needing ulnar collateral ligament surgery for his elbow. He will be out for the year, but should be good for the 2015 season. Also, Jose Iglesias, the Tiger’s primary shortstop for 2014, was reported to have bilateral tibial stress fractures, and is recovering after being put on the disabled list. Finally, Andy Dirks is recovering from back surgery that he had on March 10th. He was said to have been out of the game for two months, but he should be brought back soon. As of now he is on the 15 days disabled list. On the flip side, Miguel Cabrera recently had his contract with the Tigers extended, with $248 million guaranteed over the next eight years. His contract was supposed to terminate in 2015, but he revived it, and made what is being called the biggest commitment in baseball history. The deal was negotiated by sports agents Fern Cuza and Diego Bentz. The Tigers allegedly traded Prince Fielder during the winter of 2013 in order to help pay for Miggy’s contract extension, as well to attempt Max Scherzer’s contract. Scherzer was offered $144 million over a time span of six years, but it turned out unsuccessful. The Tigers have gone through a few bumps in the road, but have a positive mindset for this season, and are ready to play hard this season. Catch them playing the San Diego Padres tonight at 10:10p.m. on Fox Sports Detroit. The Tiger’s 114th Opening Day was on March 31, 2014, meaning good bye prolonged winter and hello baseball season! The old ball game is bringing together the rivalry between the Detroit Tigers and the Kansas City Royals. With Detroit being the host, the stadium is going to be packed! 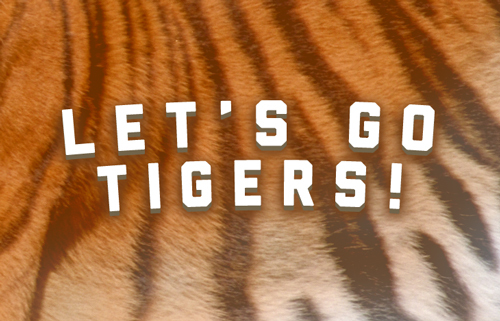 Let’s see if the Tigers can go for the sweep later on today! It was a beautiful day and gates opened at 10:30 AM. For the first 20,000 fans that come, there were Detroit Tigers rally towels that were handed out! Before the game actually began, however, the Detroit Tigers celebrated their 2013 American League Central Division Championship. This consisted of raising a flag commemorating the championship in the center of Comerica Park, during which Brian McKnight sang the national anthem. The Michigan Joint Guard showcased colors, and afterwards they put a three hundred foot flag into the outfield. Next Chet Lemon, a champion from the 1984 World Series, threw the ceremonial first pitch. During the seventh inning, Amy Gould will sing God Bless America. A member of the United States Air Force, Master Sergeant Michael Miller will be delivering the Game Ball for the Opening Day Game. For those who didn’t purchase tickets for the game, there was a block party being hosted by 97.1 in Grand Circus Park just outside of Comerica Park, where thousands of people watched the game together. The event also included an indoor heated tent, outdoor party, multiple DJs and other entertainment, and food and drinks. Opening Day in Detroit is like a holiday, where people get off work or take their kids out of school early just to watch and enjoy the ball game. Hopefully the season goes as smoothly as these few games have! Let’s Go Tigers! 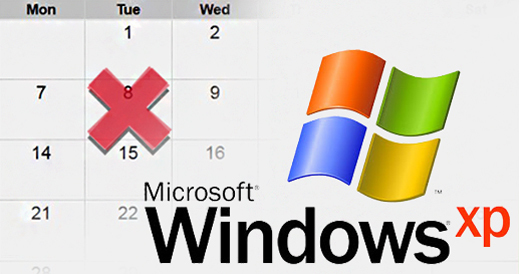 On April 8th, 2014 Microsoft will no longer offer support for Windows XP, their Operating System that was made available to the public in 2001, over 12 years ago. Despite its age, Windows XP still has users all over the world, a fact that will leave many susceptible to attacks over the course of the next couple months. Once XP is no longer backed by Microsoft support systems that are still running it are more at risk every day that they don’t upgrade, and this is especially true for medical offices and their network systems. If your office is still using Windows XP by April 8th, that is technically non-compliant with HIPAA, PCI and a number of other computer security standards. While that may be the case, HIPAA won’t tell you directly that you’re in violation of their practices – not until it’s too late and you’re stuck with a hefty fine. Better to be safe than sorry, especially when it involves a person’s medical and financial history. Another threat will be that of dubious attack methods not previously seen that are sure to make headlines after April 8th. Hackers know that a large number of PC users will miss the XP deadline and will take full advantage of that fact. Don’t fall victim and expect Microsoft to help – they won’t. Even if you don’t get attacked or infected, it’s still a good idea to upgrade your system if it’s running Windows XP. Once Microsoft support ends, you can expect other companies to follow suit shortly after. New software and hardware used in the medical field won’t be XP compatible, and you’ll be stuck with a useless computer, waiting for an upgrade you could’ve gotten a few weeks prior. In short the best thing you can do in this case is to upgrade the operating system on your computer, or the computer itself. Odds are if you’re still using XP, you could probably use a new computer. The latest Windows operating system, Windows 8.1, is the most up-to-date operating system in terms of all capabilities and industry benchmarks. If your office is still using windows XP, be sure and look into an upgrade before it’s too late. The average American spends practically every waking hour on some kind of electronic device, whether it be the computer, television, smartphone or reading tablet, according to the Kaiser Family Foundation. And the study goes on to show that screen time is continually on the increase. With that much time spent on the electronic screen, and the eyes being a crucial part of the interaction, how does it affect eye health? Not too well, judging by reports from eye doctors. Too much screen time can generate a condition known as Computer Vision Syndrome. Too much time spends on the computer or any electronic screen may generate a cluster of vision-related problems that results from eyestrain. Focusing on a virtual screen with pixels instead of actual objects made the eyes work harder to focus, thereby straining eye muscles. Research reveals that 50% to 90% of computer users report at least some symptoms of vision problems. Staring for long periods of time at a screen may result in headaches, blurred vision, dry eyes, neck and shoulder strain and eye discomfort. Although these symptoms are not life-threatening, continued prolonged computer use may generate other eye complications such as increased difficulty seeing and focusing. In addition, it may worsen existing eye conditions such as farsightedness, astigmatism and presbyopia. 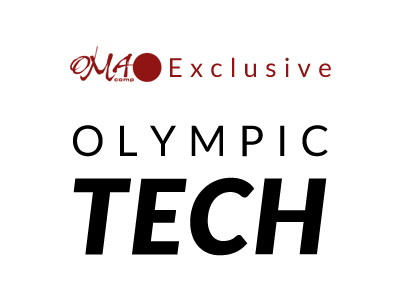 New technologies have been developed and utilized for the events and participants of the 2014 Winter Olympics in Sochi, Russia. Ironically, even though these are Winter Olympics, Sochi has a relatively subtropical climate, where there isn’t a lot of snow. Snow making industries had to step into a new gear in snow production. Instead of put it straight on to the slopes, however, the snow is stored and applied when needed. In fact, about sixteen million cubic feet was stored for these Olympics. Also, a process called salting was applied to courses in order to keep the conditions fair. Salting is a when a chemical is put on the top layer of snow, which first melts it, but then freezes it. Also, new gear has been developed for the Olympic competitors. This including the all new March 39 suit, produced with the partnership of Under Armour and Lockheed Martin. Using the input of dimples onto the suit allows the racer to travel much faster due to decrease in air resistance. Also, skiers have the opportunity to wear jackets containing the lightest waterproof zipper ever made. Not only has new technology been applied to jackets, but also to socks. Socks for hockey players were designed for calve and Achilles protection thanks to the use of copper and Kevlar. Any time that you connect your computer to the Internet you run the risk of being attacked by any number of viruses, Trojans, malware programs, or any one of many other attempts to hack into it. 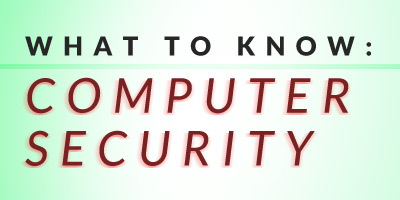 Whether you simply use your computer to surf the web or conduct most of your financial business on it, it is up to you to provide the right level of computer security to protect yourself and your personal information. The first step in computer security is to have a good idea of what you are trying to do. There is no real end to providing a secure environment for your computer and personal information. It is an ongoing task that must be kept up with on a regular basis as anything less will only result in your data being compromised. Part of this requires you to keep the software installed on your computer updated at all times. It also means keeping your operating system fully updated as many of the updates contain security patches intended to protect your computer. While keeping all of the software on your computer updated is a major step in keeping your database secure, there is more you must do. Adding a virus protection program to your computer or network is vital to ensuring its security. There are a number of free antivirus programs on the market, many of them automatically update their definitions on a daily basis. These programs can be programmed to scan every file on your hard drives for viruses, Trojans, worms and many other forms of malware and then remove them. Most are also designed to help prevent malware from even accessing your computer in the first place. Installing this type of software needs to be your first line of defense in providing the highest possible level of security for your computer and all of the data and personal information you have stored on it.